I'm usually a sucker for this kind of deep dive into overlooked yet poignant places, and I got very excited about the book after hearing Sam on 99% Invisible, but my attitude soon changed. Anderson, unfortunately, seems too interested in his own voice and writing ability, often getting in the way of his own storytelling. I would love to read a version of this book that treated the place with enough respect so as not to constantly remind the reader of the writer's aloof intellectually superior perspective. It reminds me of David Foster Wallace's essay on the Iowa State Fair without Wallace's underlying love for a place where he grew up. 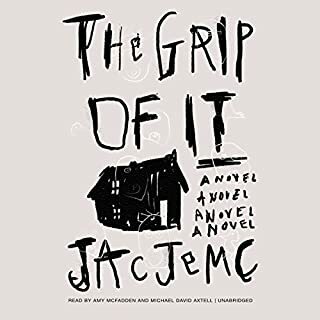 Jac Jemc masterfully dives into the twin psyches of a married couple confronted with a haunting that tugs hard on the threads of their unraveling marriage. Imagine the Amityville Horror but playing with the insecurities and anxieties of 21st century life. Jemc takes a deep breath and lays her characters bare, and it's easy to see yourself reflected in them. Oswalt combines memoir with uproarious humor, from snow forts to Dungeons & Dragons to gifts from Grandma that had to be explained. He remem­bers his teen summers spent working in a movie Cineplex and his early years doing stand-up. Readers are also treated to several graphic elements, includ­ing a vampire tale for the rest of us and some greeting cards with a special touch. Lots of fun. Wish it was longer. 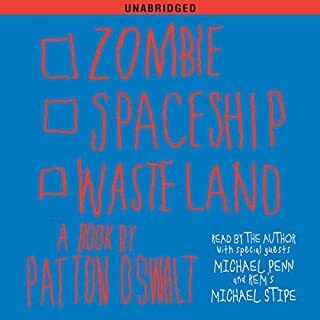 Patton Oswalt has been one of my favorite comedians for a long time, and I'm probably exactly the target audience he had in mind while writing this book (nerdy, literate, and into R.E.M. ), so yeah it won me over. But clocking in 3 hrs, 31 min, this felt more like an extended comedy album than a book, especially since Patton narrates it. Patton is really on top of his game when he's on the biographical stuff. All the material about growing up in his hometown is brilliant. He knows what matters, and why it's poignant, and he brings it home in a way that's just enormously disarming and even touching. He lost me a little bit on some of the comedy bits he throws between the chapters, but I sort of count those as bonus material anyway, so it didn't bother me much. Speaking of bonus material, getting Michael Stipe to read his own lyrics was a nice little touch for the audio book. 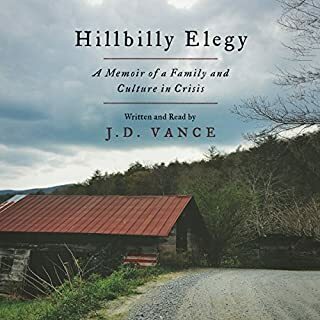 The book is a series of essays that sort of kind of all connect together, and I wish there was more to it. By the time it ends it feels like it was just getting started, so it would be great if there was about twice as much material. I bought this, as I'm sure many will, just to listen to Tim Robbins read it. As a longtime fan of "The Great Gatsby," I'm very familiar with the book, and thought this would make for a fun way to revisit the material. 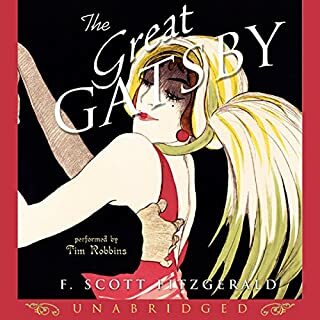 Robbins is wholly at home in the role of Nick Carraway, and he's wonderful when he's reading for Tom Buchanan, but I had a hard time with his characterizations of any of the women, and, most importantly, with Gatsby himself. Robbins slips into a lazy sort of disconnected voice for Gatsby, as if he's constantly existing on another plane, never fully present. While that's arguably true to the character's mindset, it comes off as distracting and contrived. His Daisy and Jordan are worse, every word bent into an equally lazy lilt that made me want to fast forward every time I heard it. The saving grace is the story itself of course. And Robbins' narration does help bring to life some of the descriptions of Gatsby's parties, and Nick's outsider perception of the entire ordeal. I would never warn anyone away from this book, but you might go with a different narrator. Well even if you weren't as fortunate as me and the book has been partially spoiled for you, or even if you find you've got a good feel for what's going to happen shortly after starting "Gone Girl," you're still in for a very fun ride. 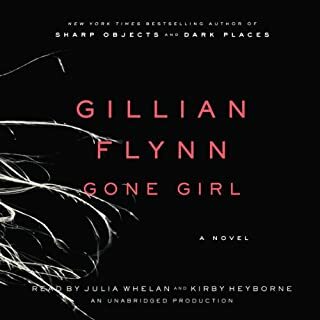 The story is so tightly constructed, and the characters so fully realized that only the most jaded reader/listener would dismiss Gillian Flynn's latest as nothing but hype. The book is about the disappearance of a woman, and on one hand it's a book about her relationship with her husband, and on the other it's sort of a mystery that hits all those police procedural beats we know so well from "Law & Order." It's told from the perspective of the husband starting the day of her disappearance, and from the wife (through her diary) starting seven years ago, when they first met. These interlocking narratives are so incredibly well-constructed it's a master class in (if nothing else) continuity. The voice acting fully matches the tone of the book, but as I've seen noted elsewhere, Julia Whelan (as Amy) is excellent where Kirby Heyborne (as Nick) is just really good. This is a long one, but stick with it. It's worth it. 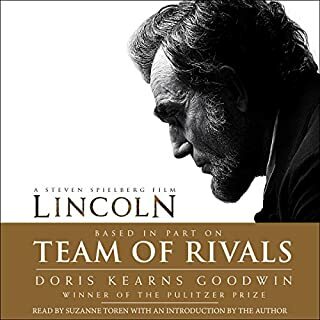 I adore Sarah Vowell, but this audiobook could have used less A-list talent, and more details. 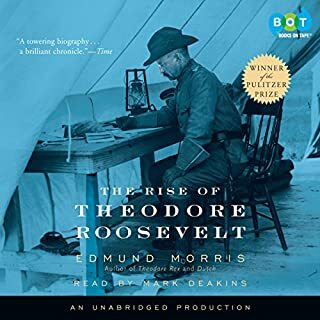 While it sounds awesome to have Fred Armisen, Edward Norton, and Catherine Keener all voicing characters in an audiobook, it's actually jarring. Vowell tends to favor brief quotes and orphan quotes in her work (that's when part of the sentence is prose, and another part is a quote). That means you often find four or five word quotes in her work that in an audiobook are spoken by a different voice actor. So you go Vowell for half the sentence, John Slattery for five words, then Vowell again. It takes me out of the experience. 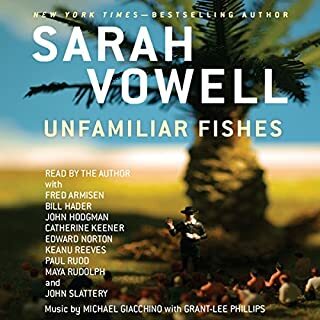 "Unfamiliar Fishes" is an awesome starting point for Hawaiian history, but Vowell is arguably too judicious here with the economy of her words and story. We learn about King Kamehameha and his children, but I found myself reading their Wikipedia entries just so I could fully follow along. 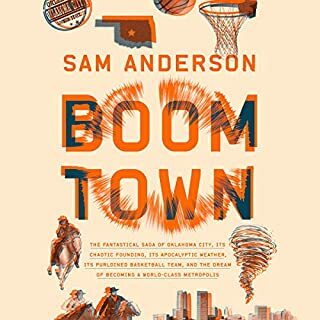 Where "Assassination Vacation" felt like it had just the right mix of quick pace, personal detail, and actual history, "Fishes" moves so fast I had a hard time keeping track of the characters, each of which pops up as a brand new voice from Vowell's cadre of famous fans.